One of my industry colleagues sent me an article that shows that there is a big market for premium telephone numbers. By that I mean that there are people willing to pay significant sums for numbers from ‘premium’ area codes, or numbers that they think give them a marketing advantage for some other reason. The article I read interviewed the owner of PhoneNumberGuy.com. Ed Mance, who operates the business, got into it years ago when he opened up a new business and was unable to obtain a contiguous block of numbers for all of his new telephones. He spent years looking into telephone numbers and in doing so found that there are people and companies willing to pay a premium for certain numbers. As an example, the old area codes for major cities, like 212 for New York City, 202 for Washington DC, and 415 for San Francisco have been full for years and new subscribers in those areas are given different area codes today when they get a landline or a cellphone. When new people enter these markets they often have a reason to want the old, nationally-recognized numbers, as opposed to the new, lesser-known codes. If you are a new DC attorney, or a tech person moving to San Francisco, then I am sure there is some cachet and advantage to having the older area codes. And there has always been a market for telephone numbers that translate to words such as 800-FLOWERS (I have no idea if that is a real number). It’s the amounts that some numbers go for that I find intriguing. A regular number from one of the ‘old’ city area codes ranges from $299 to $799. But specialty numbers can go for a lot more. For example, the biggest sale quoted was a sale where all ten digits had the same number, which sold for $95,000. One of the things our consulting firm does is to help service providers obtain telephone numbers. In order to get numbers from NANPA/Neustar (the company that controls telephone numbers) you must be a certified telephone company, a wireless company, or a CLEC. The whole process is highly regulated and has been designed by the carriers, under FCC oversight, to make sure that numbers are available to all carriers. Ed Mance says that he gets numbers by buying them from companies that no longer use them. If so, he is violating industry rules because customers don’t ‘own’ their number, and so a company cannot really sell a number they are no longer using. A phone number is yours to use for as long as you keep paying for it, but when you stop using the number it is supposed to go back to the carriers that gave you the number originally. 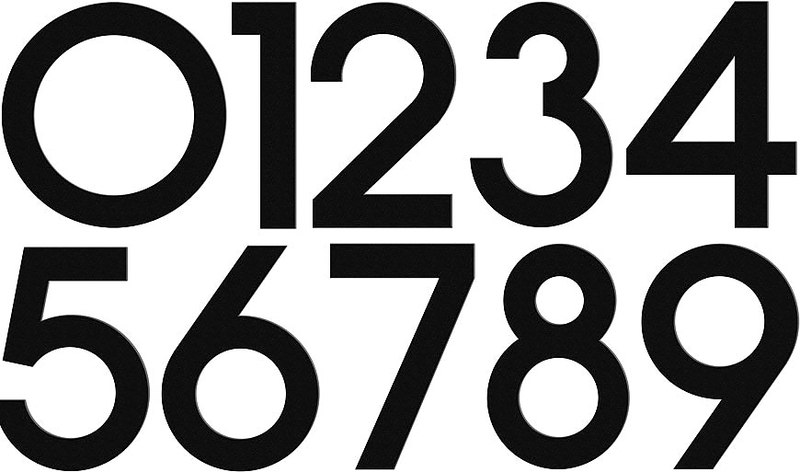 And ultimately all numbers belong to the folks who run the North American numbering plan. Unused or abandoned numbers are supposed to go back into the general pool of numbers that are available to all carriers. I find it interesting that this underground economy for numbers exists. Certainly the idea of selling ‘vanity’ numbers started back with Ma Bell who would charge you a few dollars extra per month if you wanted to specify the number you wanted (and if it was available). But phone companies never tried to charge large fees of hundreds, or thousands of dollars for a number, partially because they never thought of it, but more because they were willing partners in the numbering process. It’s possible that the number guy is actually getting his numbers from some carrier, and not directly from customers who are abandoning them. While there is no specific rule that I can find against such a practice, it still flies in the face of regulatory rules to charge a premium price for a commodity that came into your possession through an extremely regulated process. If you recall, just a few years ago we were worried as a country about running out of telephone numbers, and with the explosion of cell phones we might get to that point again. It just doesn’t feel right to think that there are businesses that are hoarding numbers, which is why the whole numbering administration was created – to make sure we would always have numbers available. This could get worse. There is a petition at the FCC for VoIP providers to be able to get telephone numbers directly instead of having to go through a certified telephone carrier. If the FCC grants this petition we are liable to see a proliferation of these kinds of practices because some of the VoIP providers are a lot looser about following industry rules than regulated companies. Many of them largely ignore regulatory rules unless forced to follow them. I’ve had a 202 cellphone number forever and I can’t imagine ever giving it up. So I can see the lure of wanting a number that people recognize. But part of me has to ask: in today’s world of cellphones and dialer apps, do people really care much what number they are calling – or if they even know what number they are calling? But obviously if somebody is willing to pay $95,000 for a number, then there must be somebody who cares. It wouldn’t be hard to find the guy who bought that number to ask him if it was worth it. There are only 7 possible such numbers in North America (can’t do it with 0, 1 or 8). I’m not certain about this but is the areacode+555 also out of contention because of the role those numbers play in the public domain such as movies and TV shows? Believe it or not when I lived in Oakland many years ago I had a 555 number. They exist!